Being stuck indoors for most of January gave me a lot of time to rethink the studio space. To make things more comfortable and organized, I’ve created a new space for wardrobe changes, made more room for new backdrops and added a new cozy bed set up. The natural light is so gorgeous and has me so excited to take more pictures in this space. So it only feels right to celebrate having survived the Polar Vortex with a SALE! For this month only, book a studio session during the week, that’s Monday thru Friday for 1/2 OFF!! That’s right! 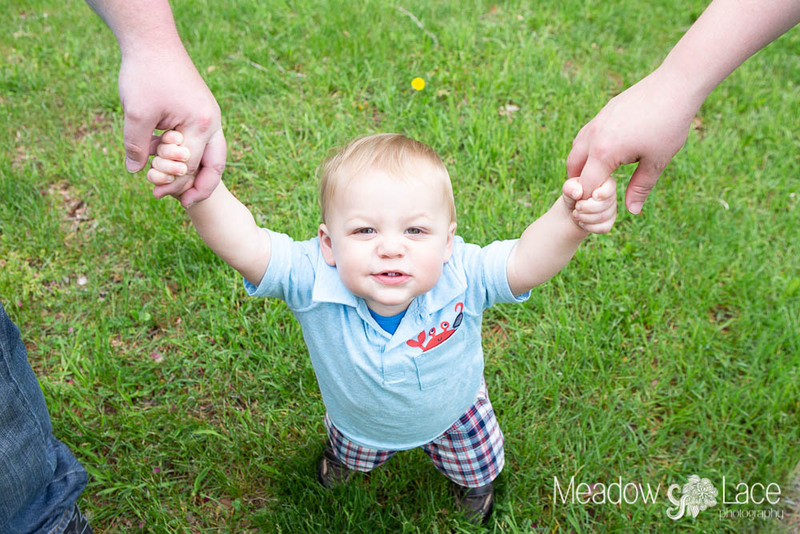 Half off newborn, maternity, child, cake smashes, head shots, and family portraits! Contact me soon to get on the calendar. 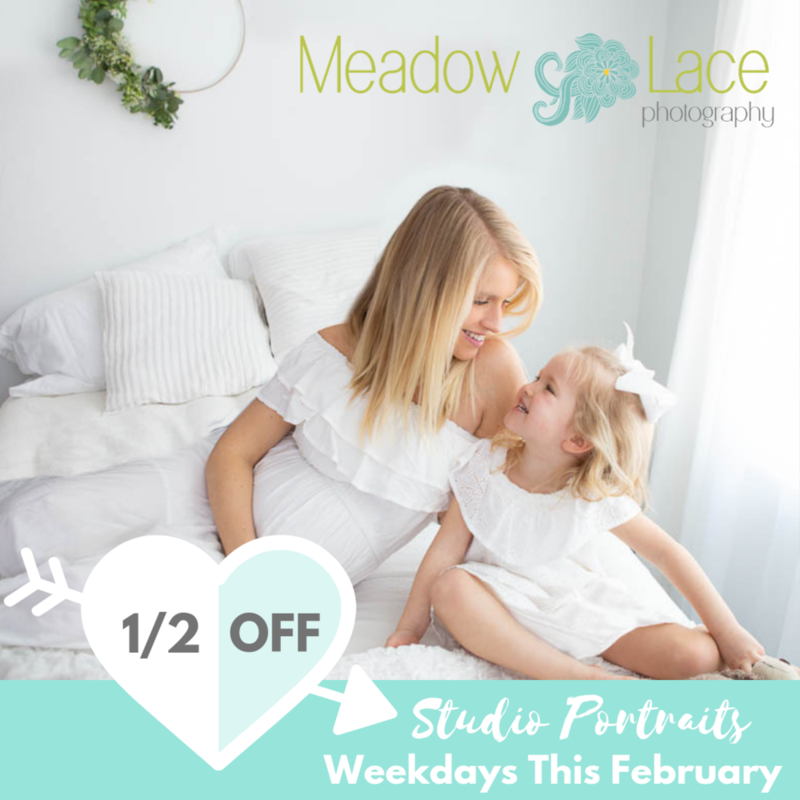 Know someone who wants portraits? Please share! 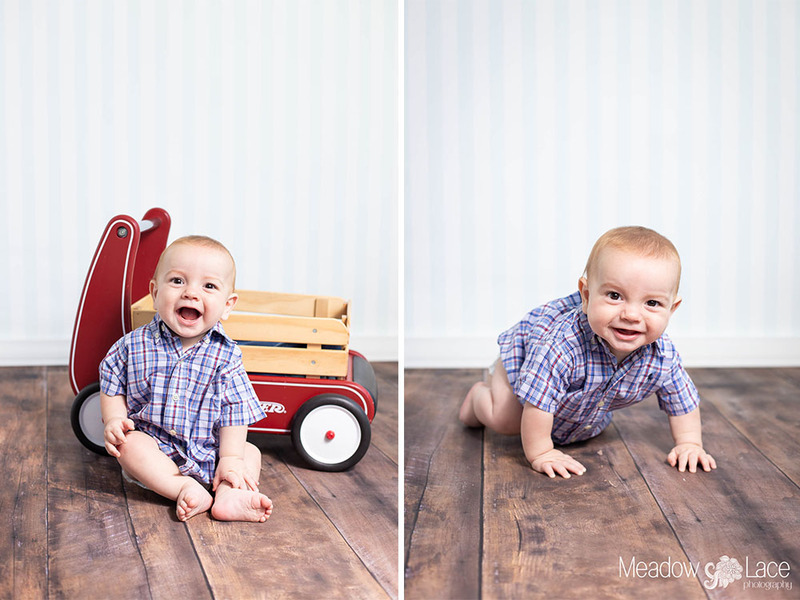 Loving all the smiles, snuggles, and playfulness of this adorable family! We were able to enjoy the last day of the Brightwalls festival with my sister and brother-in-law and their kiddos. 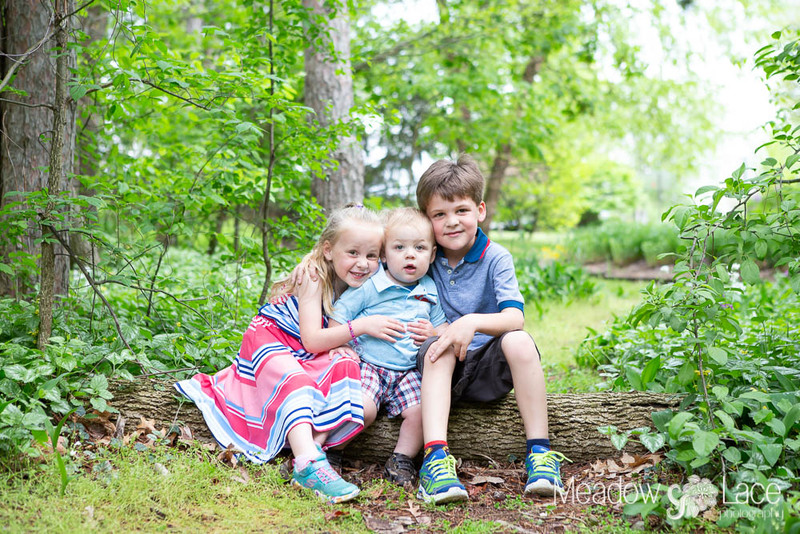 So excited about these brother and cousin pictures we have now! It was so fun to see the awe and excitement in everyone’s eyes as they walked around downtown and to run into so many friends! I’m so in love with all the new colors downtown! So glad you guys came out sis & bro! When your kids photo bomb their cousin’s family photo-shoot. Ha! Ha! 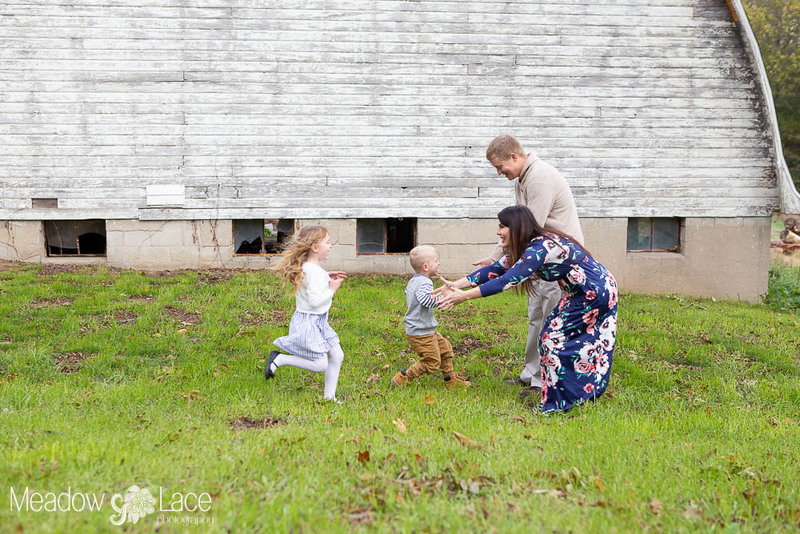 So many favorites from Monday’s family portraits! These guys are always so fun to see and I just love their busy boys! We had fun exploring a new place, looking at the fall leaves, and being silly together. 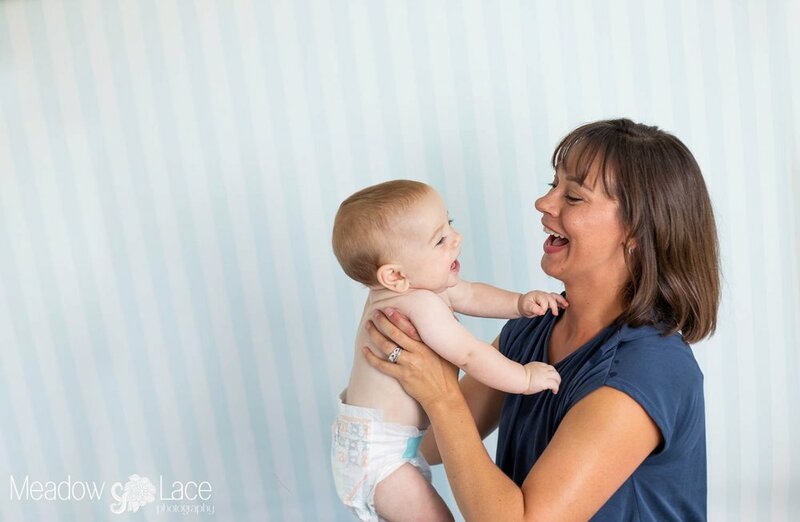 I just love getting to capture moments like these! Thank you Murphy family for working around the weather and making pictures happen on a Monday. You guys are the best! So much color, life, and excitement surrounding our city these past five days! It has been incredible to watch the process of each artist’s creation unfold on our city’s walls! This, by far, is my favorite thing that has ever happened here in Jackson, MI. I feel so grateful for the Jackson Young Professionals and all of the sponsors who worked so hard to make this event happen. My family has enjoyed this event so much and will continue to enjoy these murals for years to come! Tomorrow the murals will all be completed but here are some of my favorite images capturing them in the making. My first picture of the boys I love so much in front of the Love mural at Sunday’s Family day. 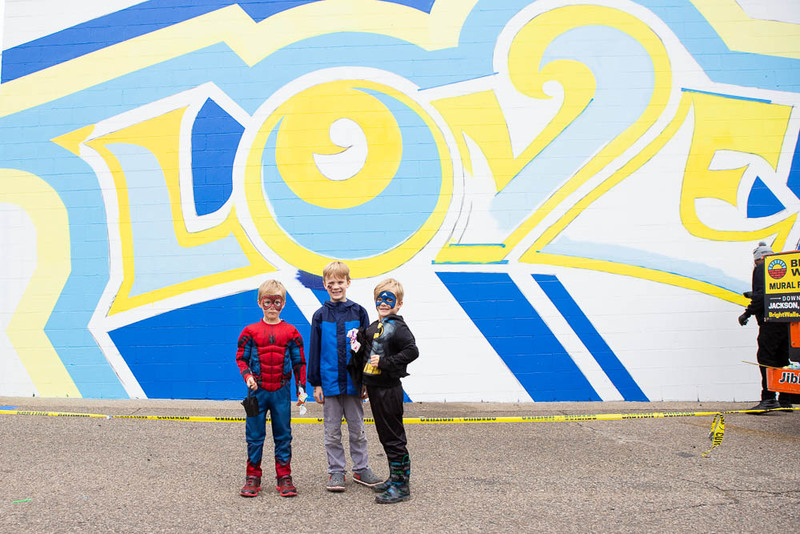 Looking forward to capturing more memories in front of all these murals! This little guy just turned 6 months and is one happy baby! His smile and joy are so contagious! So grateful to his mamma for bringing him into the studio last week. I've been dying to meet him! I hope his sweet smile brightens up your day! 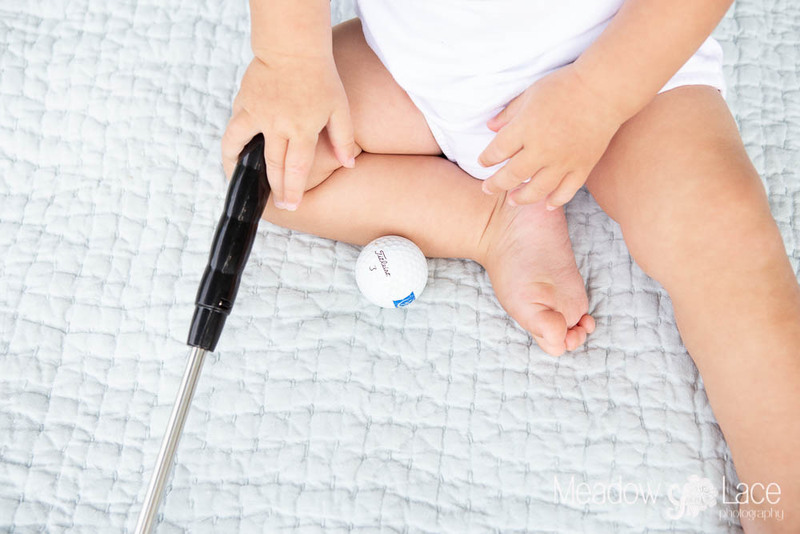 Happy one year birthday to this little guy who already likes to play golf just like daddy! He knew just what to do when we gave him the ball and club. 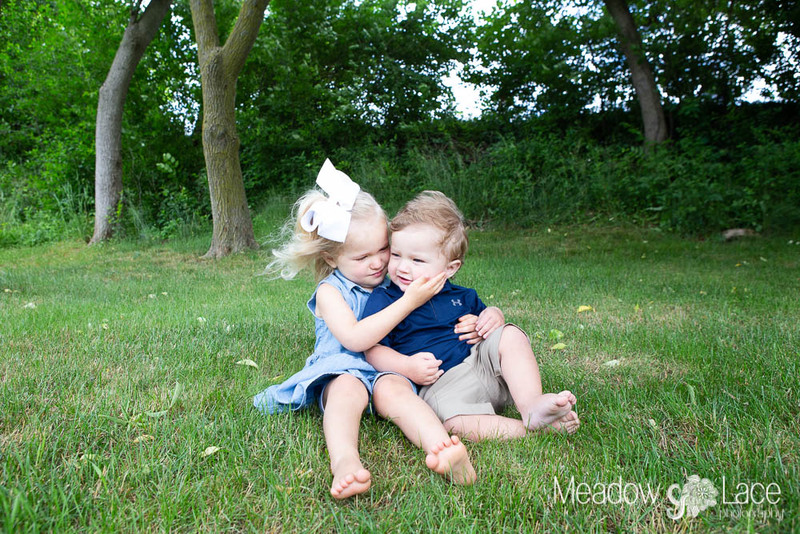 Big sister was so lovey with him (just like she was for his newborn portraits). Amber and Ben your babies are so sweet it was hard to choose only a few pictures for this post! I can't wait to share the rest with you. You are such a kind, caring, and beautiful family. I've enjoyed so much getting to see your little ones grow. 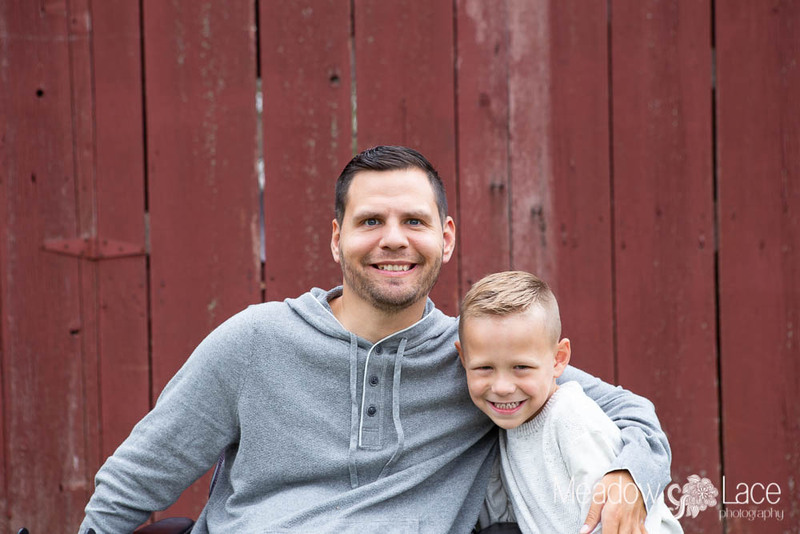 Have a happy Father's day together! Hard to believe it's already been a year since this little guy arrived! 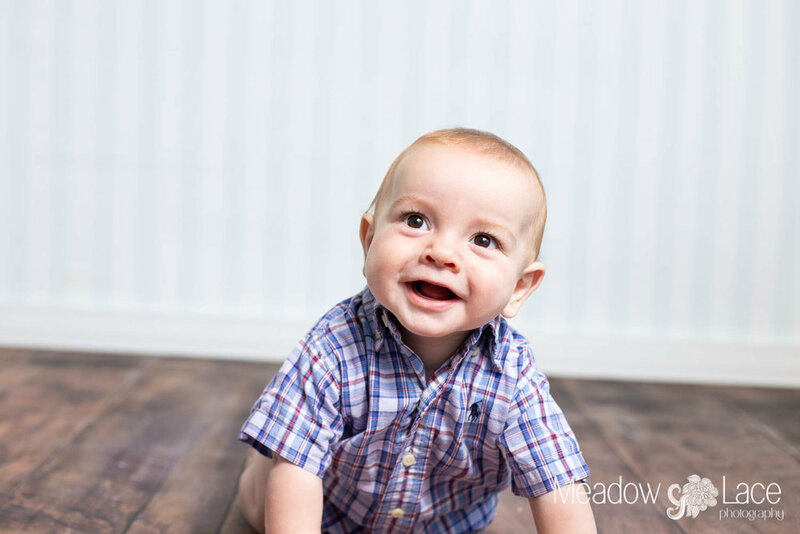 He is such a happy little baby always ready to smile for baby talk. 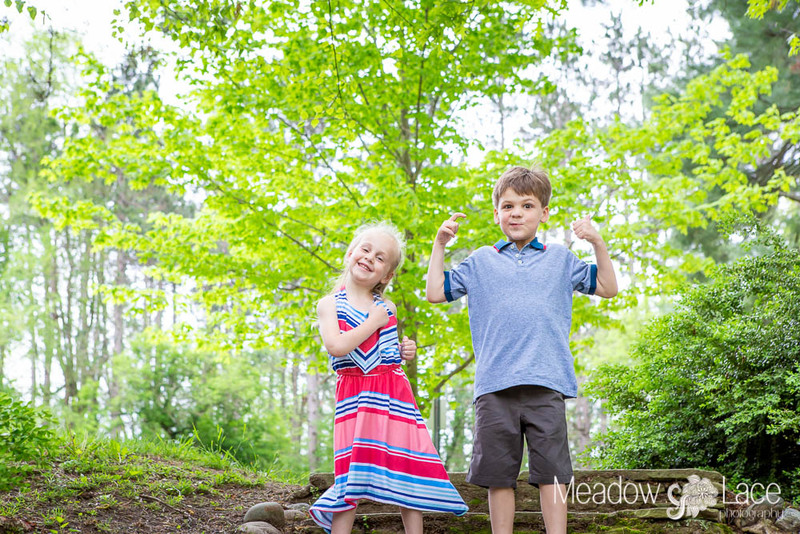 I have loved so much getting to watch him grow and getting to take pictures of his silly big brother and sister. They always made pictures extra fun :) Morgan and Drew you have such a beautiful family. 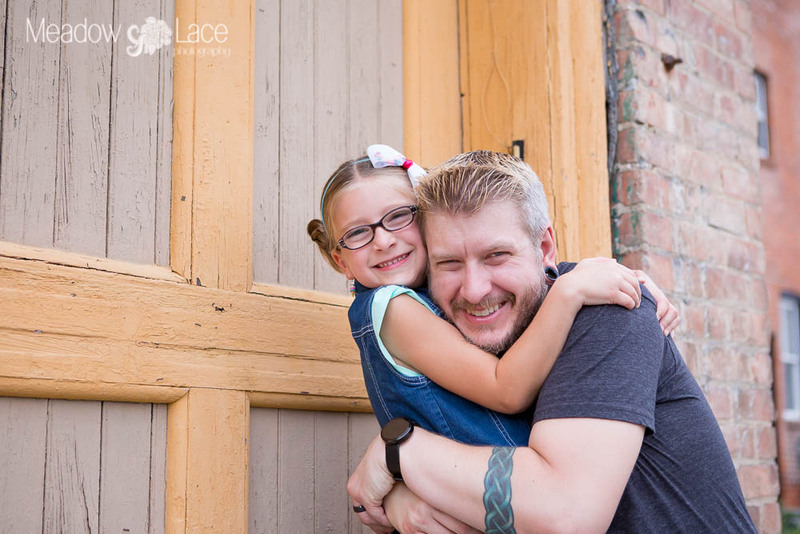 Thank you so much for choosing me to capture your portraits. I adore your kiddos and I hope to see all of you again sometime soon! Some favorites from this morning's cake smash in the studio! 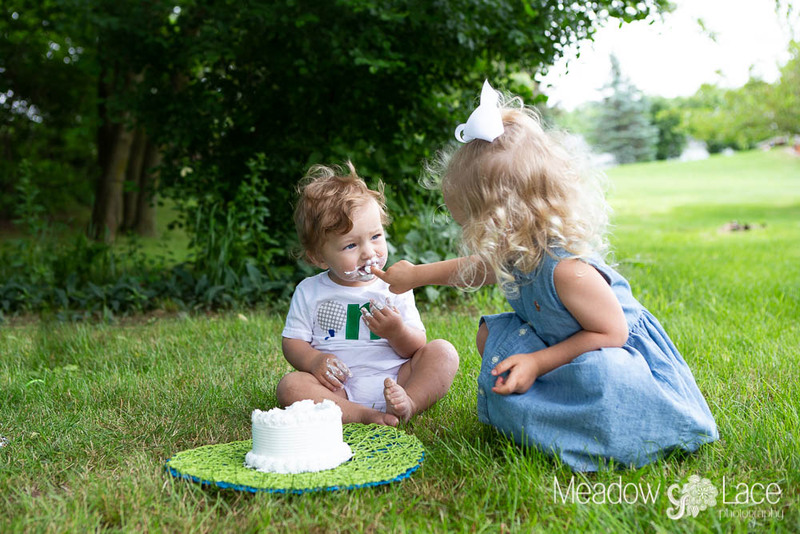 These two loved eating cake (or rather frosting) and playing with bubbles. 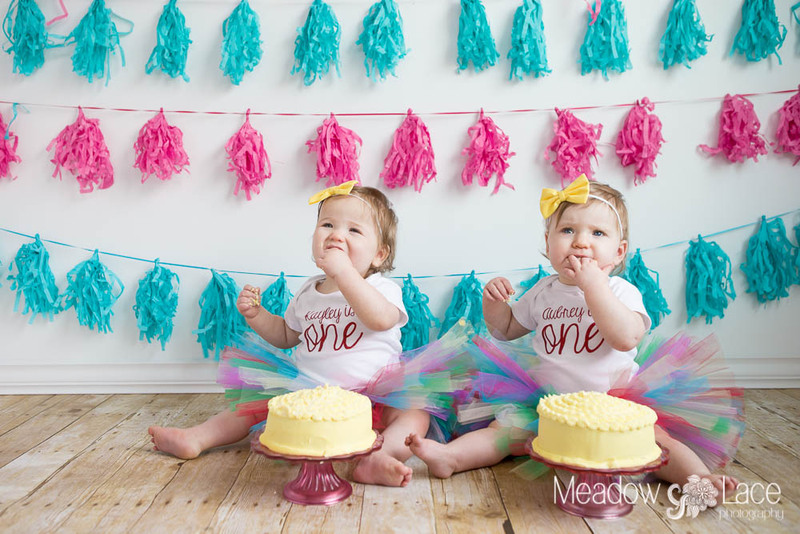 It was so fun celebrating their one year milestone! Rachel and Troy your girls are the cutest! Thank you for bring them in for pictures. It was so wonderful to see you all again! It's been a chilly morning but boy has it been fun! 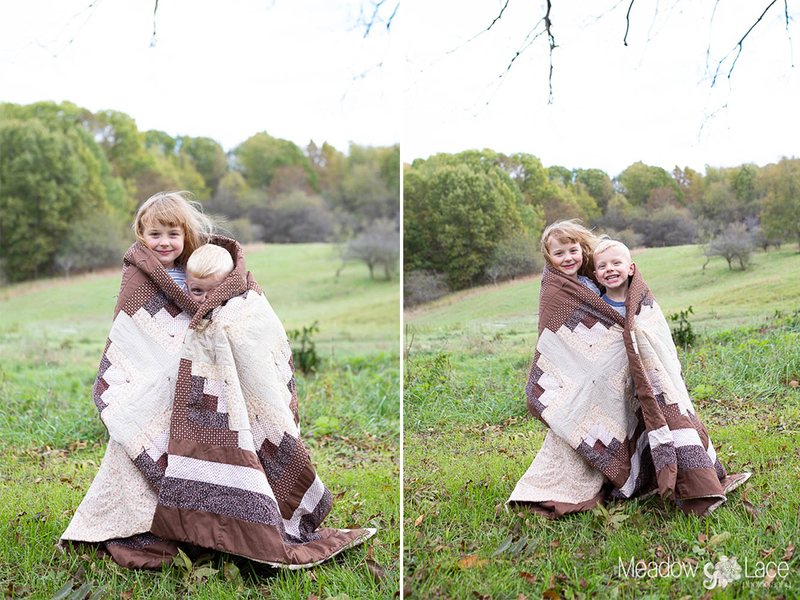 Here are some favorites of the kiddos from this morning's Christmas minis. Can't wait to take more this afternoon! Stay tuned for more! 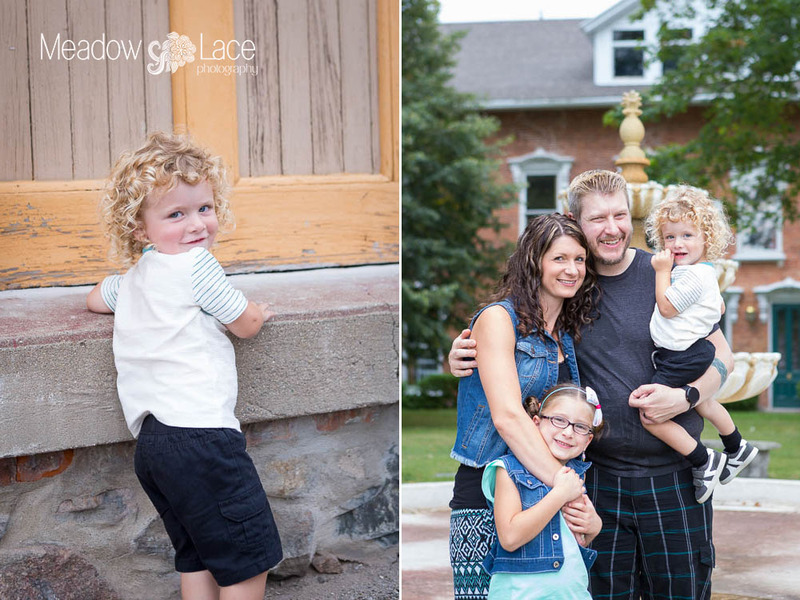 A few favorites from last Saturday's family portraits. She is such a little cutie! 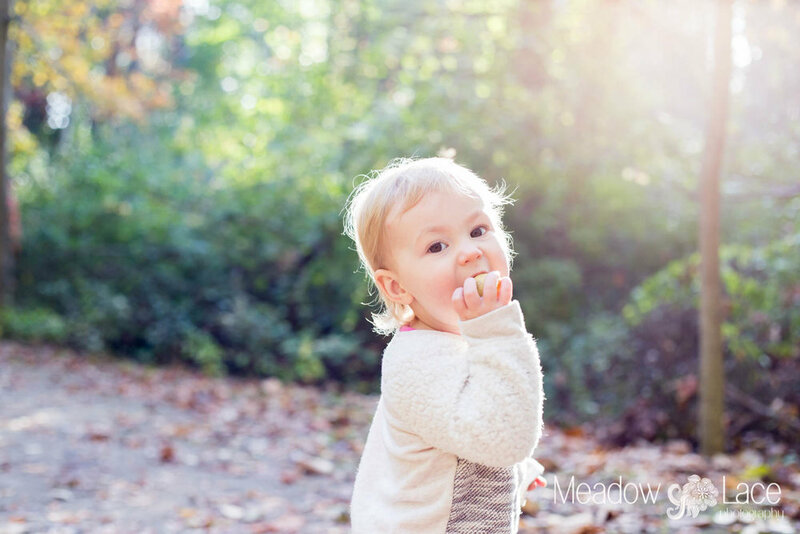 She was a serious explorer of the woods and loved eating the apples I brought, but we caught a few smiles in that gorgeous morning light. So great seeing your beautiful family Matt and Sara! The Garden at The Dahlem Center was the perfect place for little Miss E to explore while family gathered for pictures. 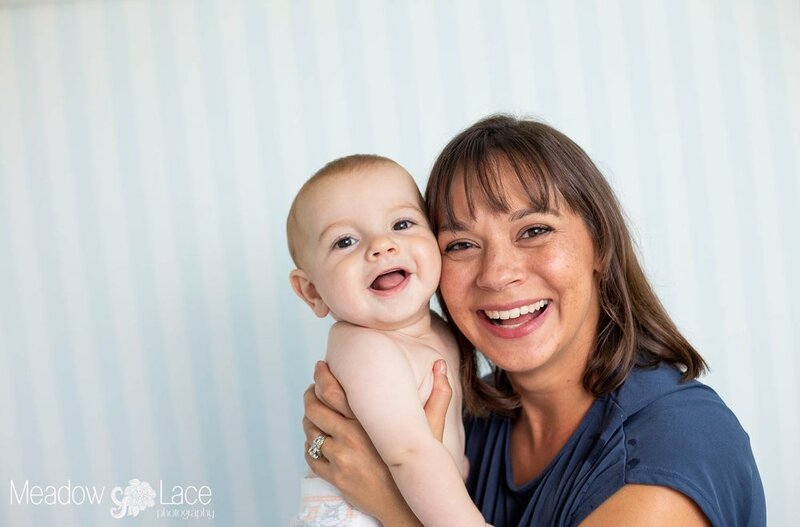 I haven't seen her and Mr L since his newborn session and I could not wait to see them again! Thank you Shelly for coming out for pictures! You and your family are so fun to be around! 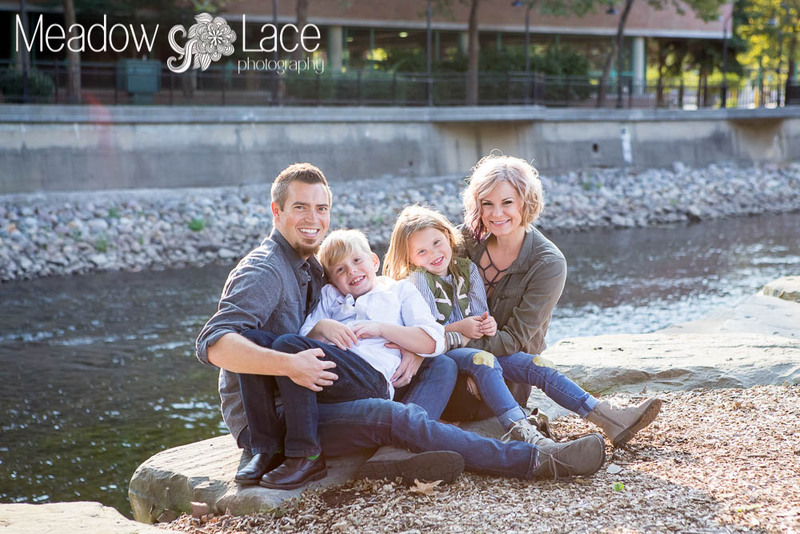 Reserve Your Spot For Fall Portraits! 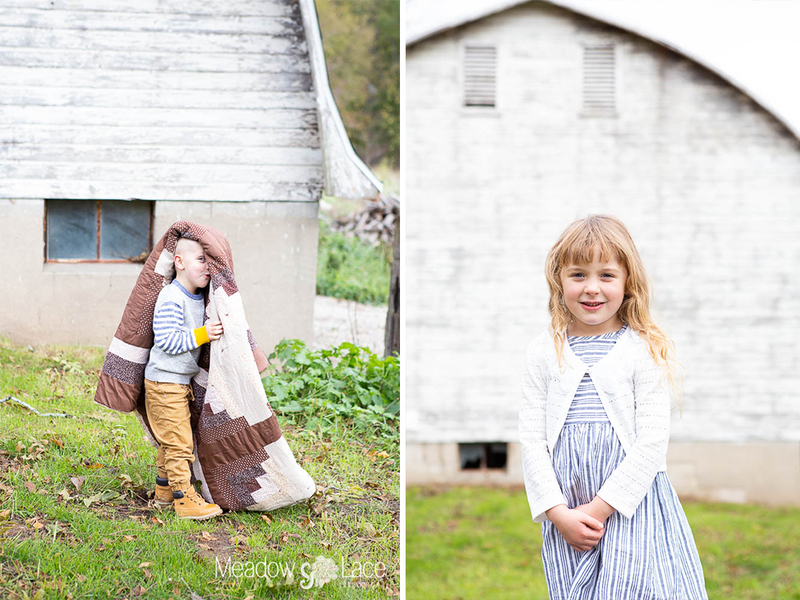 Now booking fall portrait sessions on the following dates! Contact me soon to reserve your spot on the following dates: Friday, September 22nd, Saturday September 23rd, Sunday, October 8th, and Saturday, October 14th. Refer a friend and get 10% off your session! 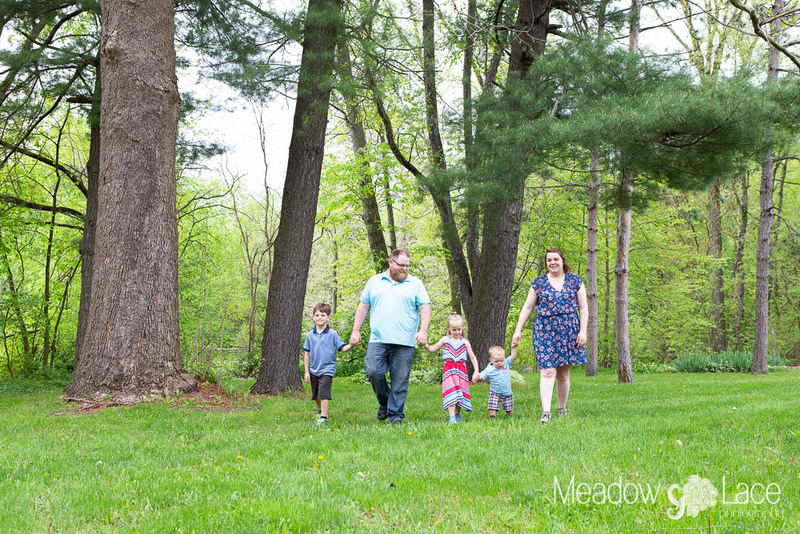 So excited to share favorites from last Sunday's session with the Haroff family! Their love for each other is so sweet! Their youngest just turned two and he is an absolutely precious wide eyed explorer. And their oldest is so caring, kind, and patient. I love these guys! Aren't they adorable?! Loved seeing these little happy faces on Sunday! Aren't they the cutest! Little Elliot is 3 months now and such a good baby boy! I just can't get enough of his smile! Apparently if you can talk baby talk with a really high pitched voice, he will smile at you aaalll day! Ha! Ha! Hard to believe this little one is already 6 months! She is truly the happiest baby I've ever met and it's been such an honor to watch her grow. Lindsay and Dan you are doing such a wonderful job of raising such a sweet little girl! Enjoy all her snuggles and have a happy first Father's Day weekend! 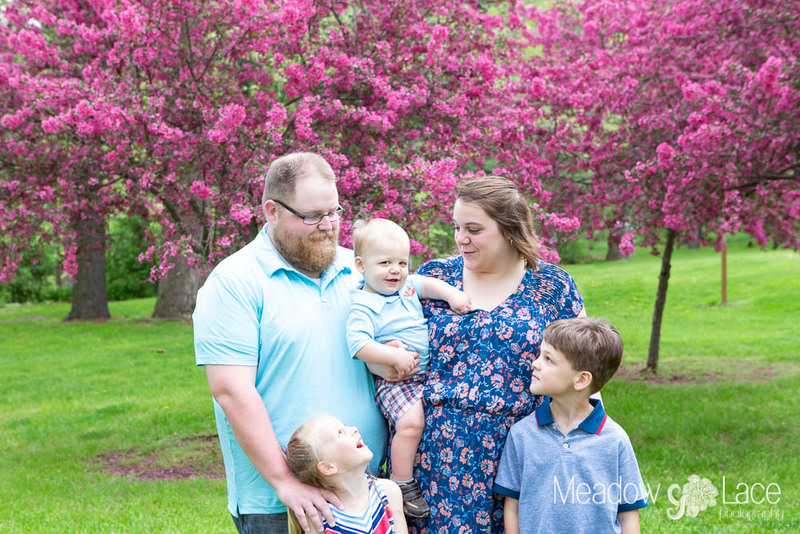 Caught some spring sunshine and some yellow blooms with this beautiful family last Saturday! It was hard to narrow down favorites for the blog preview. I just love this family! And their little Harper is such a smart little girl. She can already sing her ABCs, count, and hold up two fingers to show how old she is. It sure was fun to get to see these guys again. Can't wait to meet their newest little guy in about 7 more weeks! 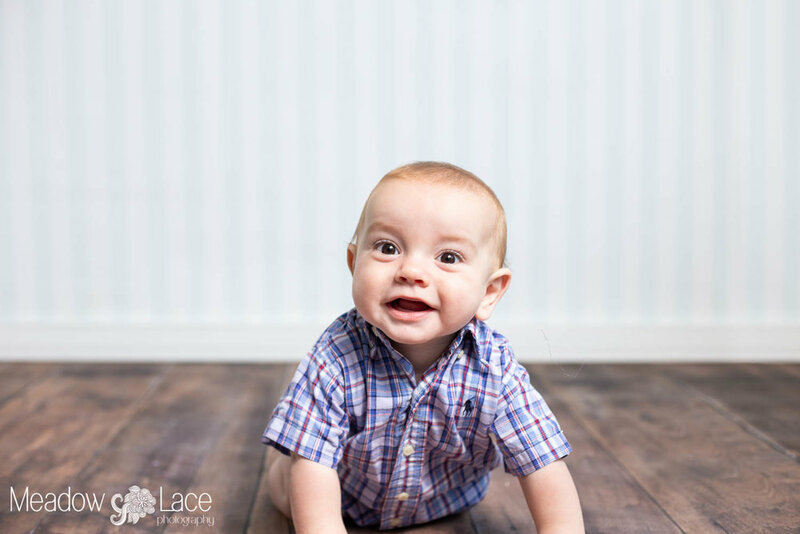 Hope these baby blue eyes and big smile make your day! Isn't he the cutest!?! 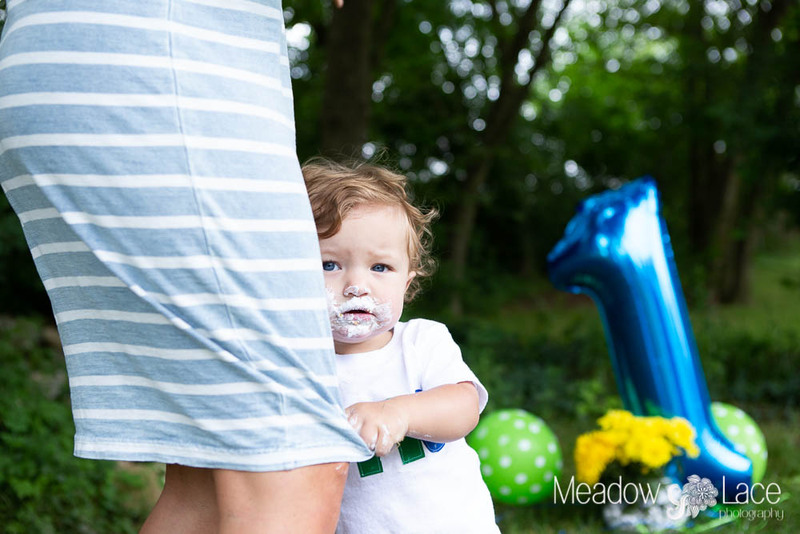 This little love turns one very soon and already he knows how to enjoy a birthday cake and rock a cute bow tie! 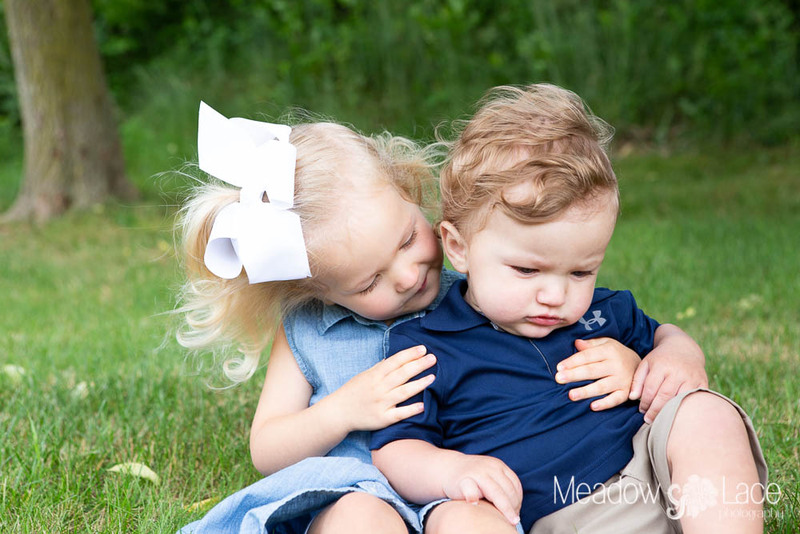 Shelby and Jason, your kids are SOOOO adorable! Can't wait to share the rest of the pictures with you soon!